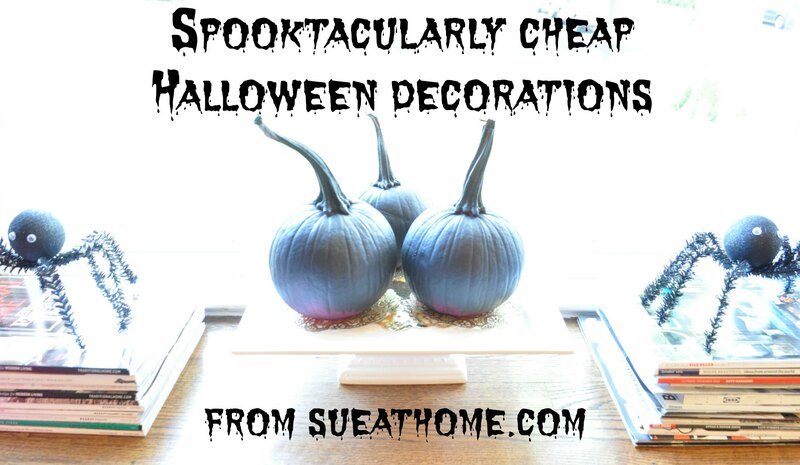 Even though I want to cover our home with spooky details, I never want to spend a fortune on anything and holiday decor is no exception. 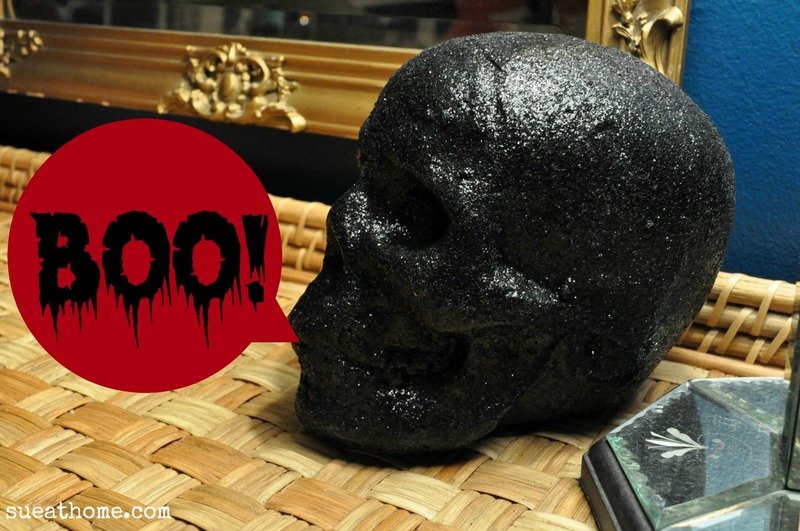 And though I’d like to DIY everything, I found some scary stuff at Target that was so inexpensive that it would probably cost more to make it myself. 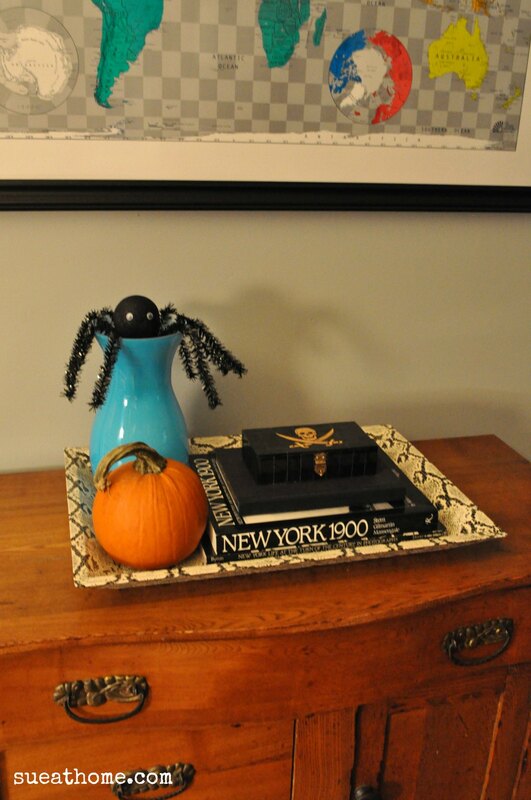 Another table in our living room/foyer area that already benefits from having a little skull topped box on it year-round, gets the added fun of a mini pumpkin and a spooky spider. The spider came from Target also – but this little fella was a buck! Obviously I had to buy a bunch of them and then go back for more. I even let the girls “earn” a purple one for each of their rooms…if they cleaned their rooms up. 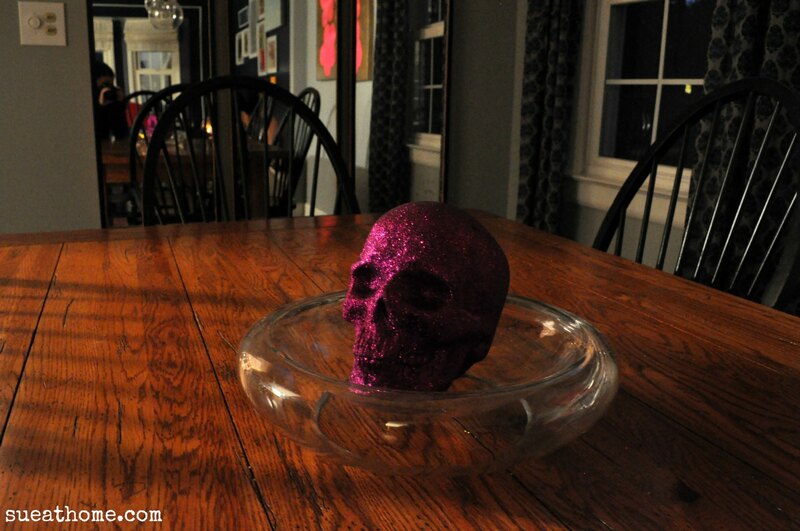 We’ve got another one of those glittery skulls–this time in purple–on the dining table. I love the way it looks at night. 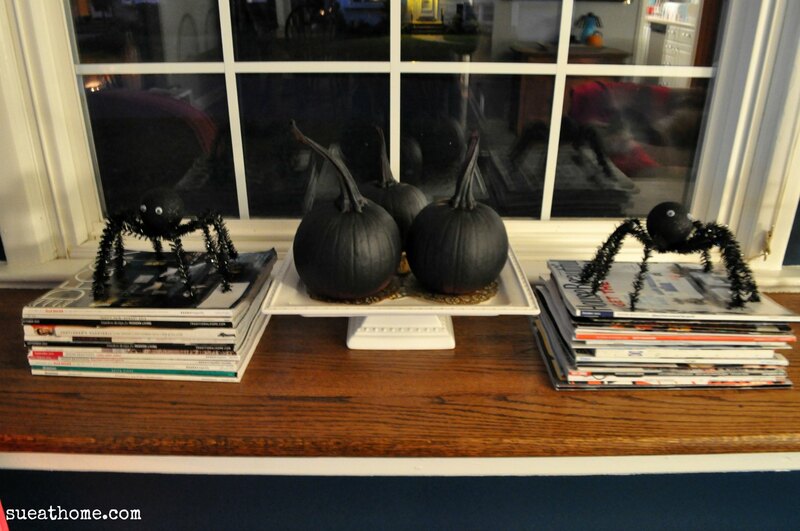 For our bay window nook, more of those little spiders from Target guard my magazines while some black pumpkins sit atop a cake plate. 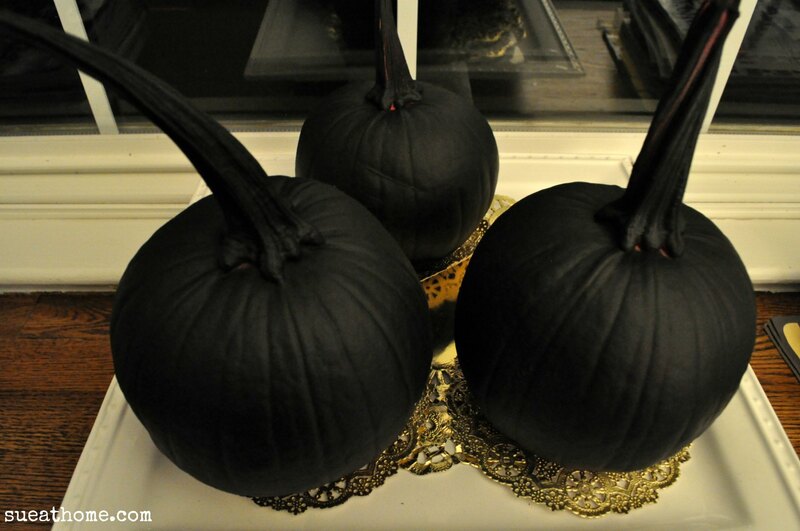 If you notice any hot pink under the black, that’s because I first tried to spray paint them neon pink but even with spray primer, I just didn’t like the way the paint was adhering to the pumpkins so I just coated them in black instead. It doesn’t look bad here but it was really spotty–even after several coats. 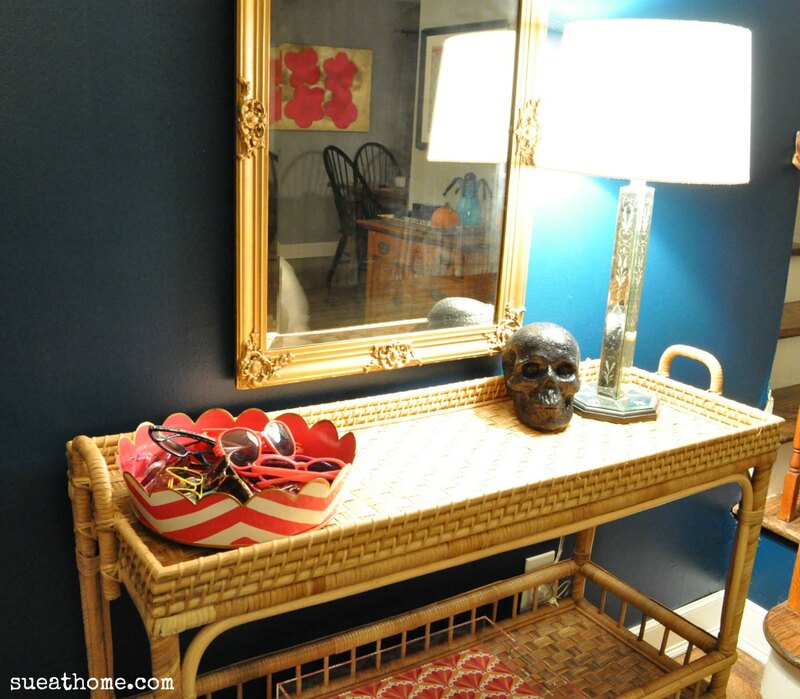 It’s really starting to come together inside the house. As for the outside, I followed the advice of HGTV magazine’s mums story and bought my blooms tight so they’d last longer. It looks pretty stupid right now so I’m hoping they’ll have some staying power and I won’t regret listening to that advice. But when you have kids this cute, who’s looking at your mums? 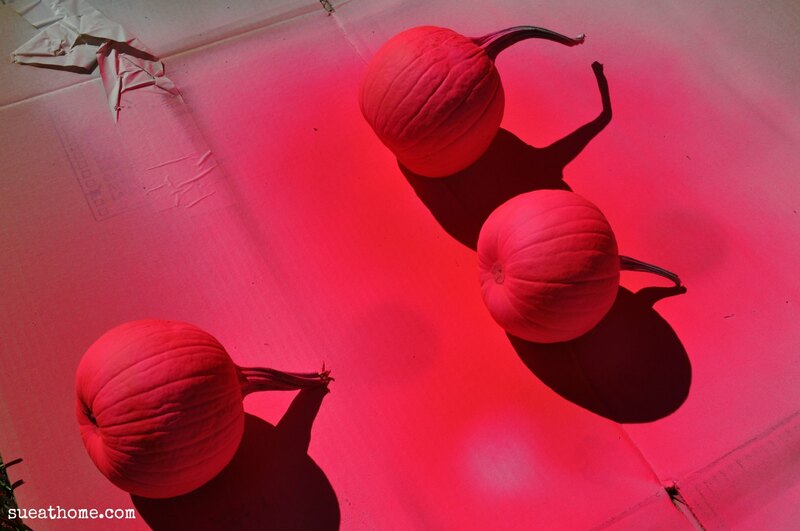 It’s coming together…and we haven’t even carved our pumpkins yet!